The King James Version center reference system I am referring to was produced by the opinions of many contributing scholars and theologians. Most of the older Bibles have this proper center reference system. I have a King James Version published by The World Publishing Company during the mid 50’s which has the proper center reference system. I checked a World Bible recently at a Christian bookstore, and it had been corrupted from the former one I have. I also have a large Southwestern Bible which has the desirable center reference system. I understand some of the Bibles printed by Dove Inc., Nashville, TN, have this preferred center reference also. Twenty years ago, one could purchase a King James Version Zondervan Classic Reference Bible with this more satisfactory center-reference system. “1404 δράκων [drakon /drak·own/] noun masculine. Probably from an alternate form of derkomai (to look); 13 occurrences; Authorized Version translates as “dragon” 13 times. 1 a dragon, a great serpent, a name for Satan.” In fact, the word “snake” is not found in the King James Version! “Δράκων, which the ancients derived from δέρκομαι,1 means ‘serpent,’ 2 especially ‘dragon’ 3 or ‘sea-monster.’ 4 In Rev. it is a distinctive term for Satan (12:3, 4, 7, 9, 13, 16, 17; 13:2, 4; 16:13; 20:2). The King James Study Bible, sold by Thomas Nelson Publishers, thus wrenched this passage into an unrecognizable, grievous falsehood. How could Satan still be in heaven when Jude 9 states? : “Yet Michael the archangel, when contending with the devil he disputed about the body of Moses, durst not bring against him a railing accusation, but said, Yahweh rebuke thee. Sure, Moses antedates Christ’s Second Advent [and His First Advent as well]! Besides, the “Satan” of Rev. 12:9 was Herod the Great, and his Edomite family. (cf. v. 4) Additionally, the “serpent” that deceived Eve at Gen. 3:1-6 antedates by far Rev. 12:7-9! As we proceed, we will find there are two different entities who have been, rightfully or wrongly, identified as “antichrist”. We will find these two entities were/are (1) the Edomite Herod the Great and all of his co-religionist countrymen down to the present day, and (2) the office of the Pope of the Catholic Church. I am now prepared to discuss one of the greatest religious frauds ever perpetrated in all of the history of churchianity! “… For some time following the launching of the Reformation, Roman Catholic leadership carefully avoided exposition of the prophecies of Daniel and the Apocalypse. They seemed unable to parry the force of the incriminating Protestant applications of the prophecies concerning Antichrist, which were undermining the very foundations of the Catholic position. Upon the first outbreak of Luther’s anti-papal protest two Catholic doctors, Prierias and Eck, in the true spirit of the Fifth Lateran Council (1512-1517), had boldly reasserted the Lateran theory and declared the papal dominion to be Daniel’s fifth monarchy, or reign of the saints, and identified the existing Roman church with the New Jerusalem. “But the reformers, with declarations by pen and voice, forcefully stated that the Papacy was the specified Antichrist of prophecy. The symbols of Daniel, Paul, and John were applied with tremendous effect. Hundreds of books and tracts impressed their contention upon the consciousness of Europe. Indeed it gained so great a hold upon the minds of men that Rome, in alarm, saw that she must successfully counteract this identification of Antichrist with the Papacy, or lose the battle. The Jesuits were summoned to aid in the extremity, and cleverly provided the very method needed both for defense and for attack. “From the ranks of the Jesuits two stalwarts arose, determined to lift the stigma from the Papacy by locating Antichrist at some point where he could not be applied to the Roman church. It was clearly a crisis of major proportions. “Rome’s answer to the Protestant Reformation was twofold, though actually conflicting and contradictory. Through the Jesuits Ribera, of Salamanca, Spain, and Bellarmine, of Rome, the Papacy put forth her futurist interpretation. Almost simultaneously Alcazar, Spanish Jesuit of Seville, advanced the conflicting preterist interpretation. These were designed to meet and overwhelm the Historical interpretation of the Protestants. Though mutually exclusive, either Jesuit alternative suited the great objective equally well, as both thrust aside the application of the prophecies from the existing Church of Rome. The one (preterism) accomplished it by making prophecy stop altogether short of papal Rome’s career. The other (futurism) achieved it by making it overleap the immense era of papal dominance, crowding Antichrist into a small fragment of time in the still distant future, just before the great consummation. It is consequently often called the gap theory …. “‘The Futurist School, founded by the Jesuit Ribera in 1591, looks for Antichrist, Babylon, and a rebuilt temple in Jerusalem, at the end of the Christian dispensation. “‘The founder of this system [Futurist] in modern times … appears to have been the Jesuit Ribera, about A.D. 1580.’ (Henry Alford, The New Testament for English Readers, vol. 2, part 2, p. 351. 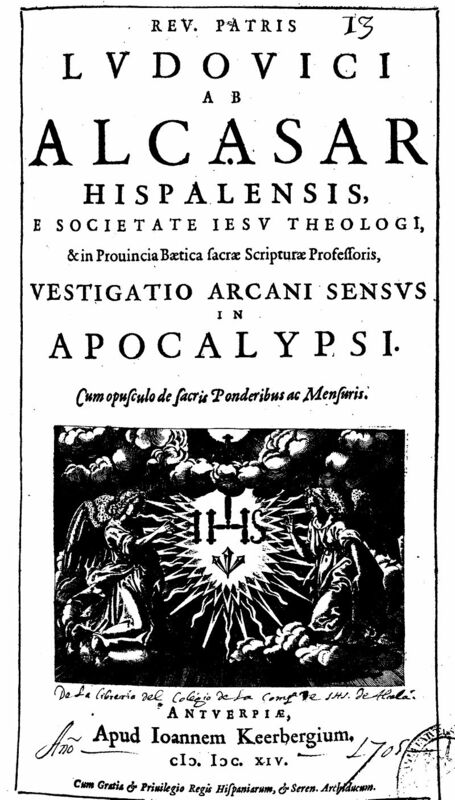 “‘The Preterism view found no favour, and was hardly so much as thought of in the times of primitive Christianity … The view is said to have been first promulgated in anything like completeness by the Jesuit Alcasar … in 1614.” (Ibid, pp. 348, 349). “Since its inception his basic thesis has been virtually unchanged. He assigned the first few chapters of the Apocalypse to ancient Rome, in John’s own time; the rest he restricted to a literal three and a half year’s reign of an infidel Antichrist, who would bitterly oppose and blaspheme the saints just before the Second Advent. He taught that antichrist would be a single individual, who would rebuild the temple in Jerusalem, abolish Christian religion, deny Christ, be received by the Jews, pretend to be God, and conquer the world – all in this brief space of three and one half years! “Dr. Samuel R. Maitland (1792-1866), curate of Christ Church at Gloucester and later librarian to the archbishop of Canterbury, was the first notable Protestant scholar to accept the Riberan interpretation of Antichrist. Maitland held the Reformation in open contempt and freely admitted that his view of prophecy coincided with Roman Catholic interpretation. His views were first published in 1826 and received widespread study and interest. James H. Todd (1805-1869), professor of Hebrew at the University of Dublin, studied and accepted Maitland’s futuristic views. He strongly attacked the Reformers’ historical system of prophetic interpretation. Todd’s views were published and widely circulated among the theologians of his time. “Through the publication and dissemination of thou sands of tracts, the Oxford Movement leavened English Protestantism with the idea that the Reformers’ understanding of Antichrist was untrustworthy. It effectively diverted attention from Rome to some unknown person to come in the future. “About the same time as the development of the Oxford Movement, there was another development in England which played a decisive role in bringing futurism within the Protestant movement. There was a growing disenchantment with the deadness of the established churches, a reaction against the spiritualizing tendency of post-millennialism (with its tendency toward modernism and preterism), and a revival of hope in the soon coming of Christ and the last things. Two religious leaders played an important role in these developments: Edward Irving (1792-1834), born in Scotland and a brilliant Presbyterian preacher, became a noted expositor in the British Advent Awakening. At first a historicist in his approach to the prophecies, Irving came to adopt futuristic views. He despaired of the church being able to complete her Gospel commission by the ordinary means of evangelism and began to believe and preach about the miraculous return of the gifts and power of the early church. “In 1831 the ‘gift of tongues’ and other ‘prophetic utterances’ made their appearance among his followers, first in Scotland among some women and then in London. Irving never detected the imposture and gave credence to these new revelations. [An imposture is an instance of pretending to be someone else in order to deceive others. - WRF] Under the influence of these revelations of ‘the Holy Ghost’ ‘by other tongues,’ a new aspect was added to the expectation of a future Antichrist – the rapture of the church before the advents of Antichrist and Christ. The origin of this theory has embarrassed some of its advocates, and the defenders of this novel theory have tried to deny its historical beginning. But the discovery in a rare book by Dr. Robert Norton entitled The Restoration of Apostles and Prophets: In the Catholic Apostolic Church, published in 1861, establishes the origin of this innovative doctrine beyond all question. Norton was a participant in the Irvingite movement. “‘I am not aware that there was any definite teaching that there should be a Secret Rapture of the Church at a secret coming until this was given forth as an ‘utterance’ in Mr. Irving’s church from what was then received as being the voice of the Spirit. 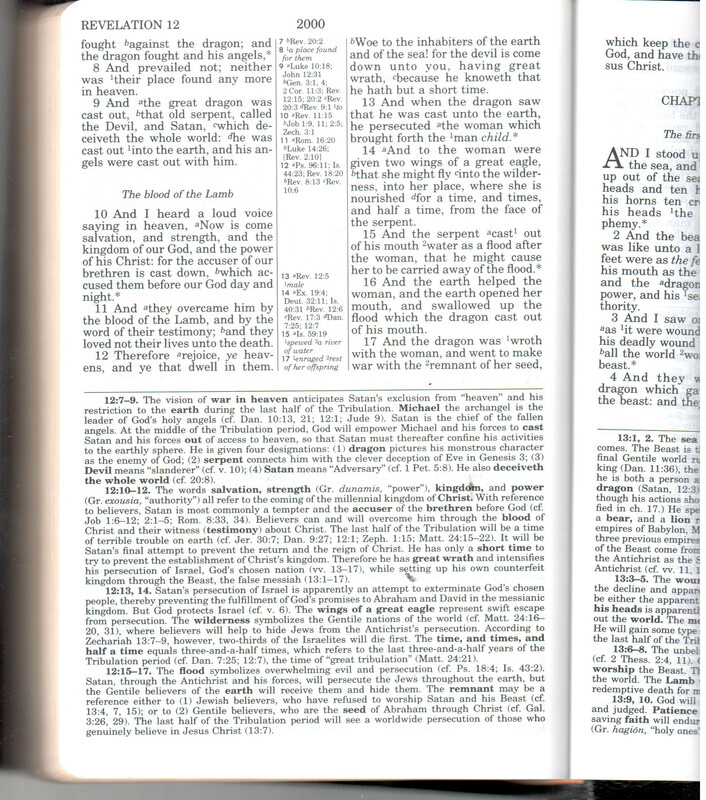 But whether anyone ever asserted such a thing or not, it was from that supposed revelation that the modern doctrine and the modern phraseology respecting it arose.’ (The Hope of Christ’s Coming, 35; cited by George L. Murray, Millennial Studies – A Search for Truth [Baker Book House, 1960], 138). There is much more that could be discussed concerning the subjects of Futurism and Preterism. However, one should be starting to grasp the danger these satanic heresies propagate, and are now widespread amid about 99.9% of Judeo-churchianity today! Do not take my word for all of this, but prove it for your self! We can now comprehend why we must be guarded in using Biblical Commentaries, Lexicons & Dictionaries, as they can seriously damage or destroy one’s intellectual ability!